Wedding season means yummy food and an excuse to flaunt your desi clothes. With desi clothes I dont mean mean just anarkalis and lehengas . 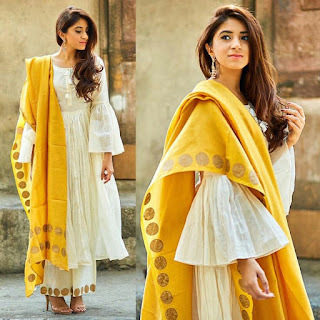 Sure Anarkalis are an ever green trend and lehengas are synonymous with weddings but there is a lot more to ethnic indian fashion than just these two. 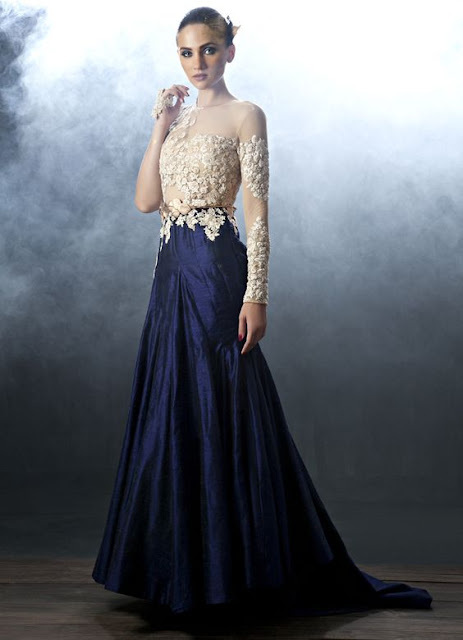 Indian designers are taking desi fashion notches up churning up all sorts of trendy silhouettes. From capes to palazzo, asymmetrical hemlines to dhoti pants options for indian wedding guest dresses are endless today. With so many options available it can be tricky to decide what to wear to the next Indian wedding you attend but this also simplifies things for you, helping you keep things interesting and fun. like I love my anarkalis a tad bit too much but lets be practical, wheres the fun in turning up in an anarkali at every other indian wedding you are invited to? Especially these days when you have to deck up not just for reception but for many other pr wedding events too if it someone close who is getting hitched. My sister is engaged and going to be married soon and I sat down to explore my options for all events and I definitely did not intend to just wear anarkalis for all ceremonies aka mehndi, haldi , wedding and reception. I was surprised to note that there were multitude of silhouettes to choose from and most of these were some red hot trends whih were sure to grab all the attention in a wedding hall without giving the ' here to upstage the bride' vibe. 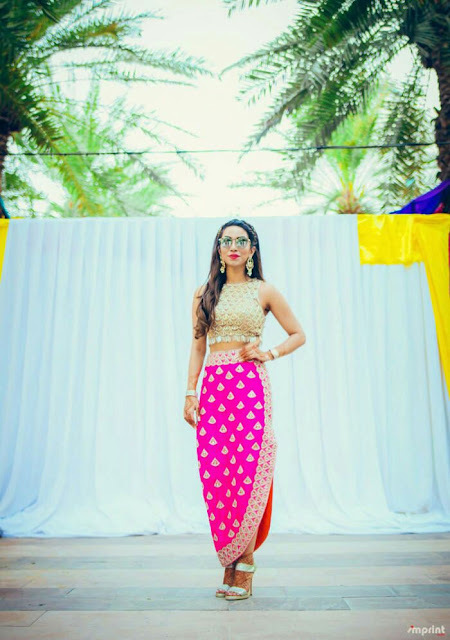 So I decided I need to share these trendy indian wedding guest outfit ideas and here Iam with a comprehensive What to Wear to Indian Wedding guide. 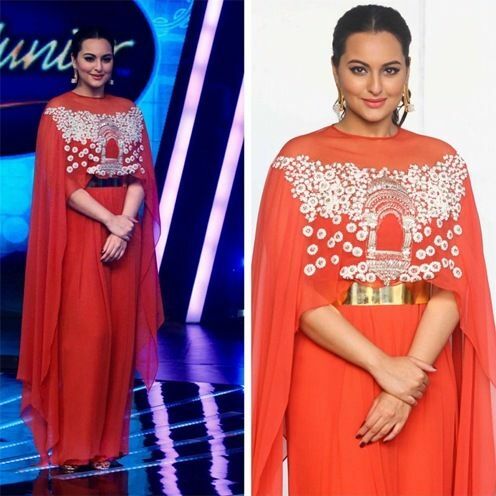 Cape are like the hottest trend in ethnic wear these days. They are everywhere in indian wedding guest dresses from lehengas to gowns to sarees. 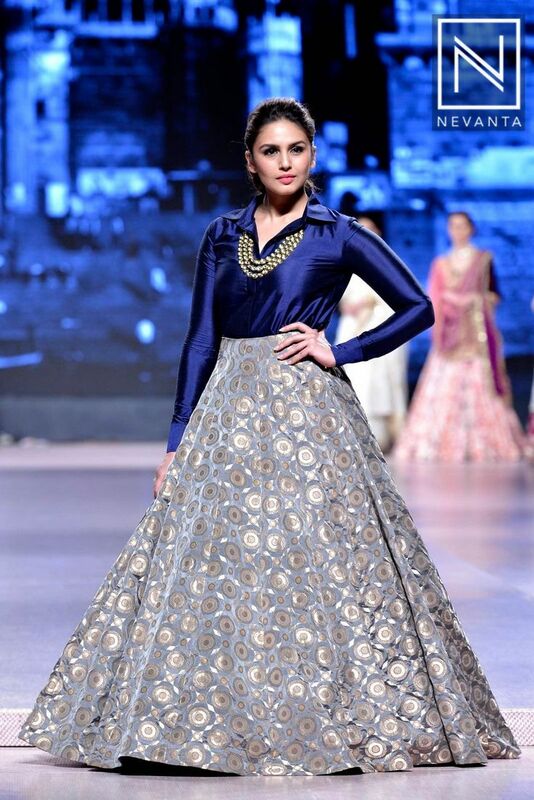 For a chic Indian Wedding Guest Outfit look opt for light lehngas and simple choli with a sheer cape. Let the cape be star of your look and avoid heavy jewellery especially on the neck. 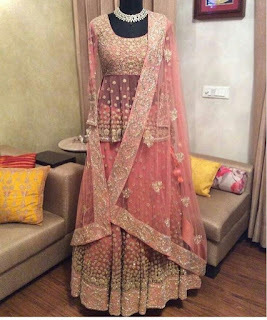 This outfit looks best without a dupatta so it is amazingly comfortable and makes for great sangeet outfit too. 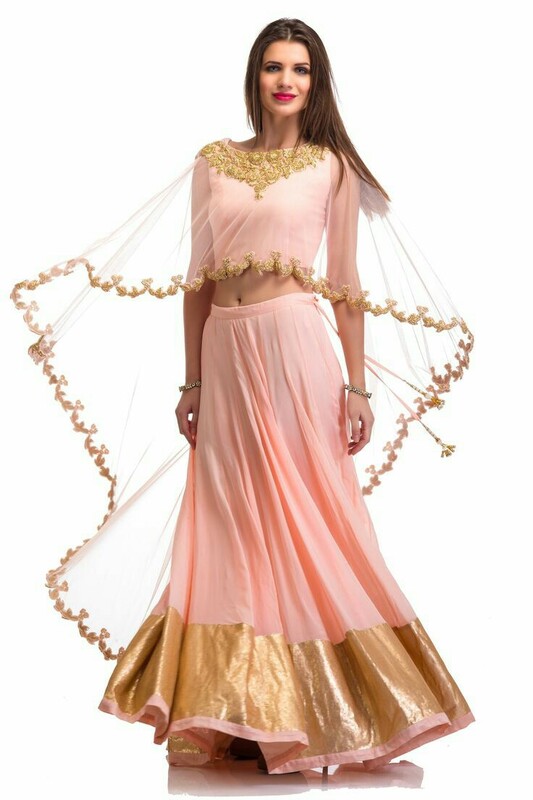 If you are tired with overload of net anarkalis as indian wedding guest dresses then I have a fresh new outfit idea for you. 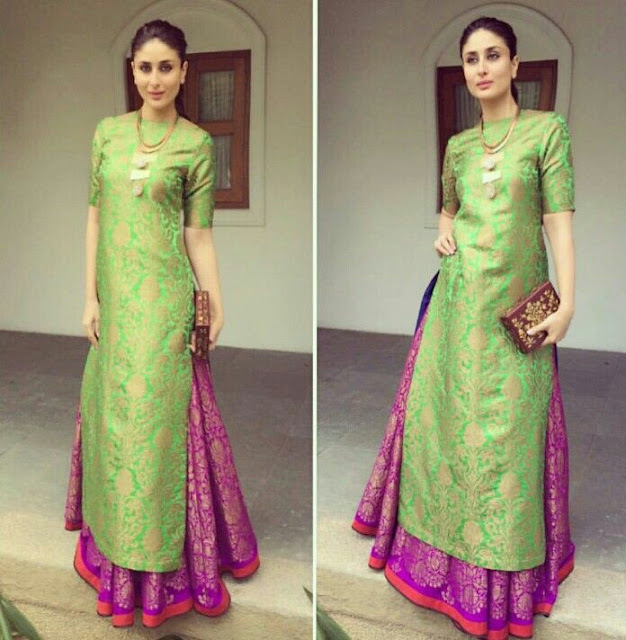 Go for Long stragiht cut kurtas and pair it with contrasting hues lehengas for a elegant wedding guest outfit. 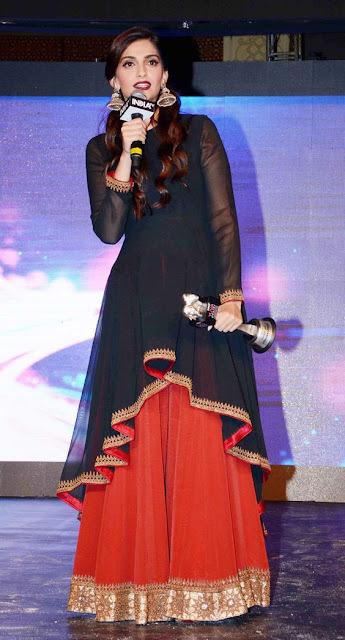 This out fit looks great in raw silk and you are allowed to go dupatta less here too! Front slit kurtas are super glam and make for elegant indian wedding guest dresses when paired with lehenga skirts. Contrast your lehenga and skirt with different colours and fabrics for an impacting ethnic look. 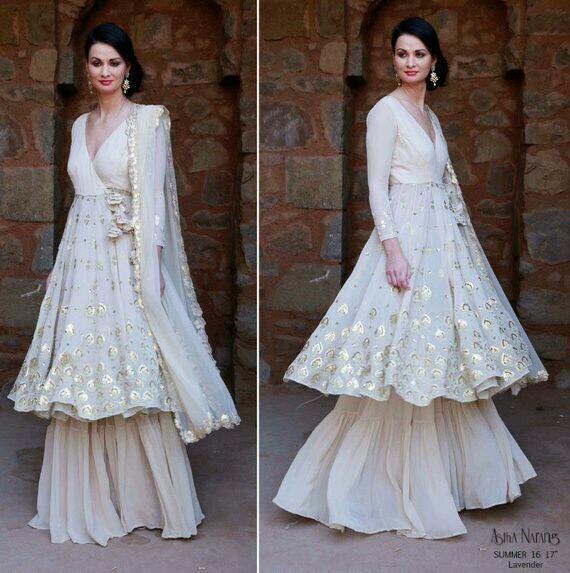 If capes are not your thing then try layering your simple floor length anarkalis with an embelisshed short jacket. Dhoti pants are getting very popular these days all thanks to their versatality. 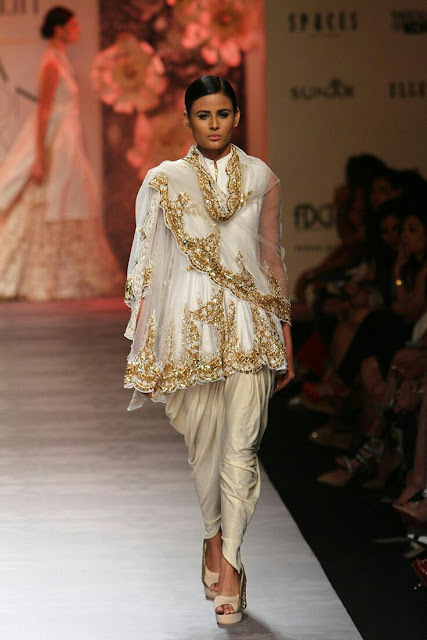 Pair a floor length front open jacket with dhoti pants for a fierce fashion forward look. 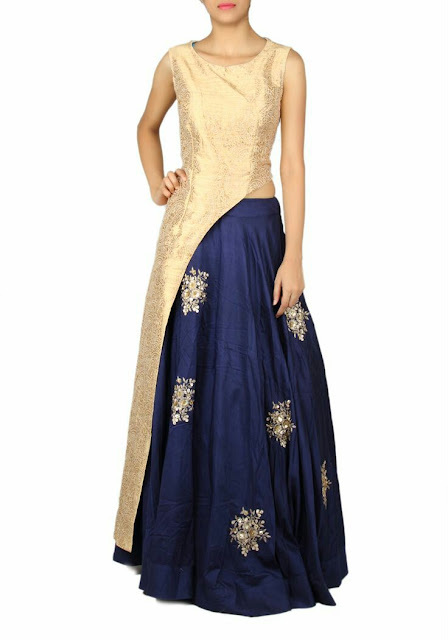 I have a weakness for asymmetrical hemlines and these work perfectly as Indian wedding guest dresses. 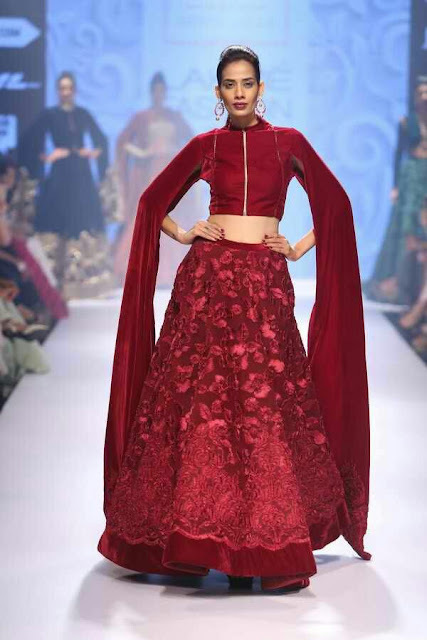 Asymmetrical hemline anarkalis are playful and chic and can make you stand out in crowd the effortless way. If you dont want to go about buying a whole new trendy ethnic outfit try reinventing your existing anarkalis. 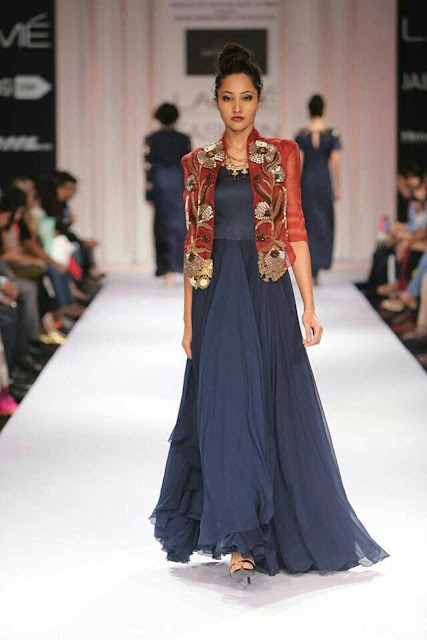 Use your spare dupattas or sarees to get a flowy long jacket stiched to wear with your anarkali. Go for contrasting coloured jackets in fluid fabrics. Even silk jackets over anarkalis will look great if it is a winter wedding. 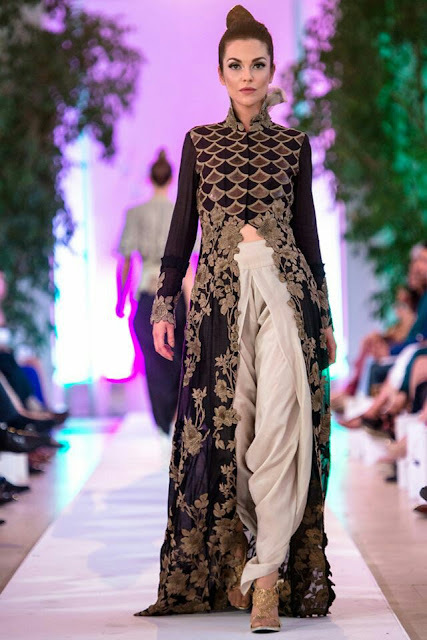 Front slit kurtas are in vogue and when paired with fitted pants they look beautiful. For a more dressed up look go for sequinned or brocade pants. 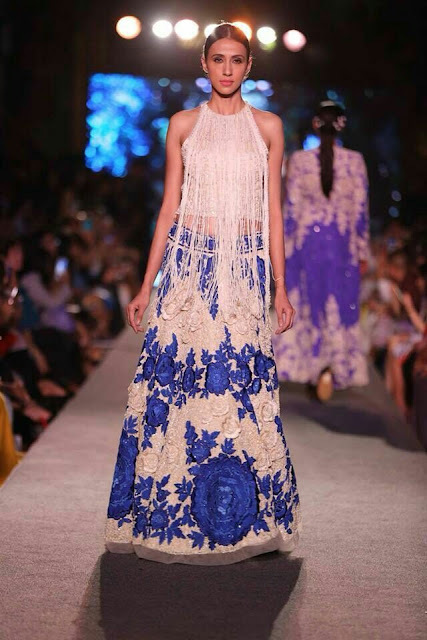 Fringe is another trend which has been spotted a lot in ethnic indian fashion. 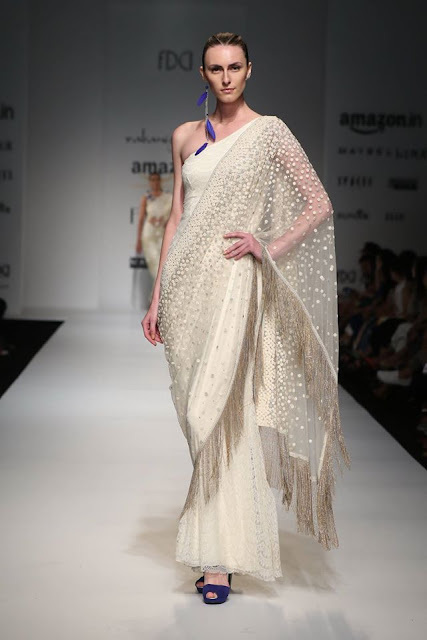 Fringe detailed sarees look stunning give the traditional garment a western vibe. Trendy saree drapes can look stylish without you having to spend much. Use your existing sarees to drape with pants instead of regular petticoat. Prestiched pant sarees are also available but a good parlour or salon can give you a similar look at a lot less. 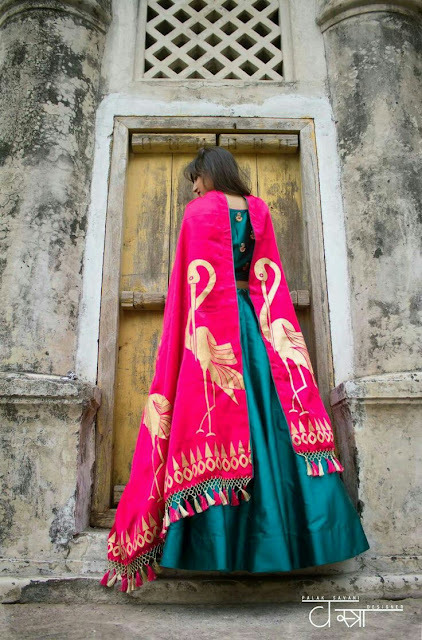 Capes are being paired with all traditional outfits then why should the saree be left alone? 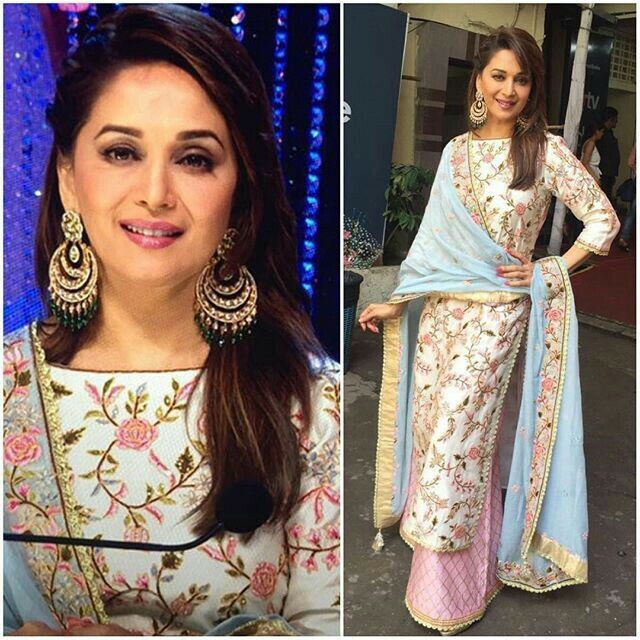 Get a sheer cape stitched and wear it as an overlay with your simple saree look. 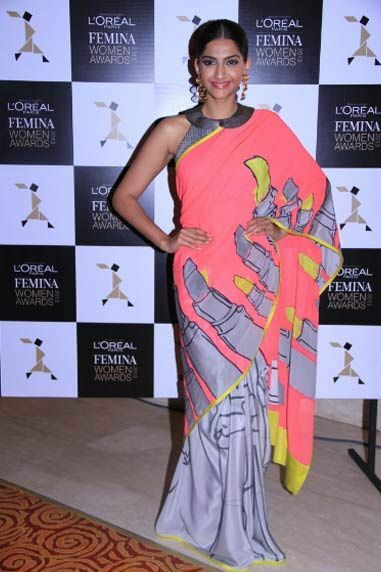 If saree is all you wear then try something fun like quirky printed masaba sarees. Florals and geometric prints also look gorgeous but make sure you choose vibrant colours to make it wedding guest appropriate outfit. Dhoti pants is fabulous summer fashion and to show off all the pleats pair it with a short anarkali kurta and a dupatta and say hi to a hatke Indian wedding guest dress. 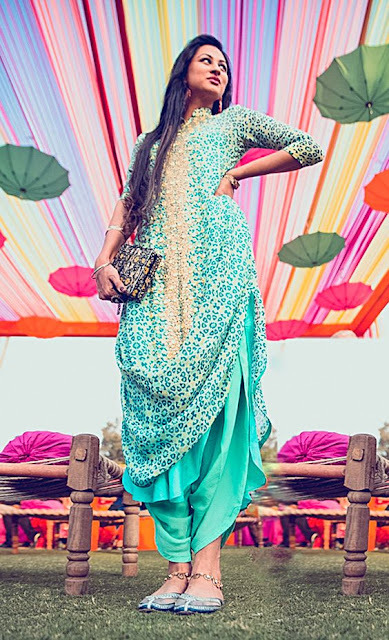 Straight cut long kurtas can also be paired with palazzo pants for a crisp Indian wedding guest outfit. This silhouette is very popular in pakistan and has been in trend off late in India too. With the emergence of anakali suits , straight cut salwar suits have become kind of rare at wedding functions. Vibrant or embellished straight cut suits also makes for great Indian wedding guest dresses and they also are a nice refreshing change. Dupattas are task to handle and Indian designer know it pretty well. Designers like Ridhi Mehra have now come up with draped dupattas where dupattas are pre pleated and stitched with your blouse. These draped dupattas look very contemporary and are very practical too. 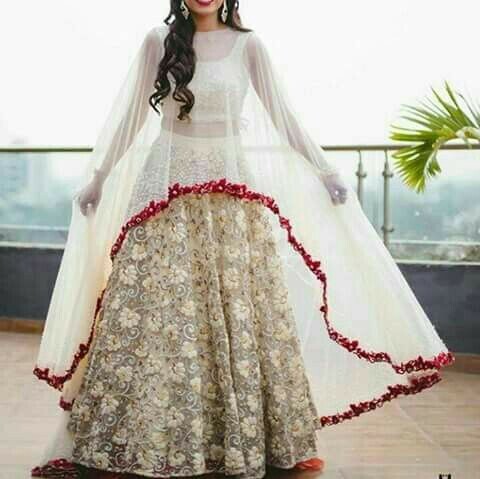 Lehengas dont have to weigh kilos for it to look wedding appropriate. Even light printed lehengas look great especially for summer weddings. 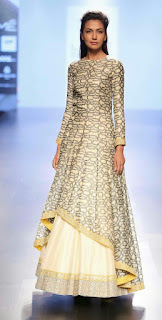 Anita Dongre does amazing printed lehengas and layers them up with long jackets too. 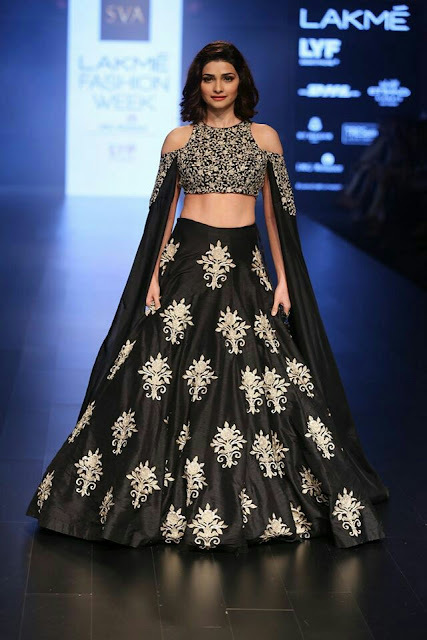 Experimenting with blouse patterns is a good way to wear lehengas with a dramatic twist. Go for a one shouldered floral blouse and skip the dupatta allowing your choli to grab all the limelight. 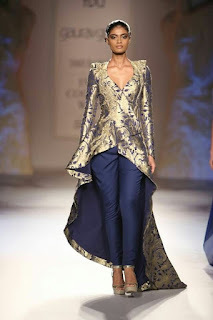 If you thought peplum isnt for ethnic wear , think again. 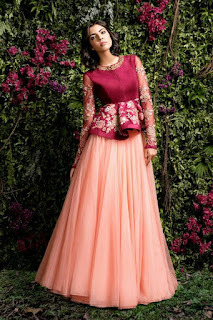 Lehengas with peplum style blouses are getting very popular. You can hide your tummy fat with this type of lehenga blouses. Go for sheer peplum if you have flat belly or for a short peplum for a ontemporary look. Another interesting way to keep lehengas light and wedding guest appropriate is ombre. Ombre dye lehengas are feminine and perfect for any kind of wedding ceremony like sangeet, mehndi or reception. Just accessorize it right with raani haars and jhoomar for wedding or with jhumkas for a simple sangeet. While Indian weddings are a colourful affair you can actually wear any colour to weddings these days including blacks and whites. Contrary to popular belief red is actually an acceptable Indian wedding guest outfit colour especially because most brides dont wear red these days. 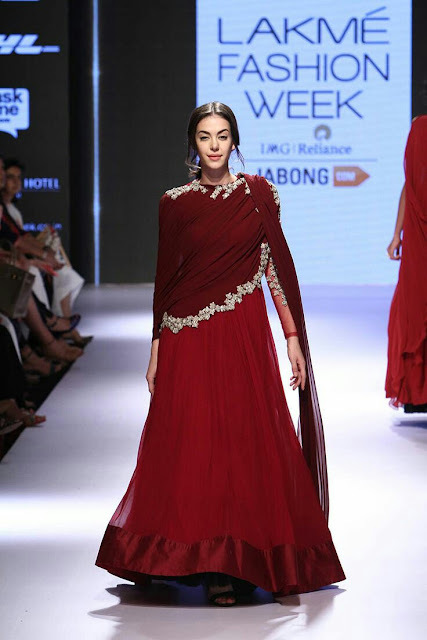 Styling a red outfit right is important, go for a contemporary look with a touch of tradition so it doesn't look like you are competing with the bride. Low cut revealing outfits are a big no for weddings when poojas and pheras will happen. Carry a stole to cover your head if you are attending a nikaah or gurudwara wedding. 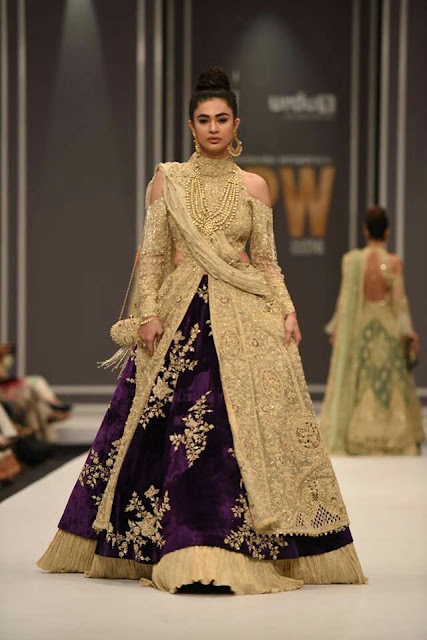 Accessorizing is the key to make your Indian wedding guest dresses look glamorous Invest in a good maang tika or jhoomar and watch yourself dazzle. Dont show up in simple clothes as most Indians take offence to under dressed guests. If you like things minimal then go for a simple outfit with a huge blingy accessory like tika or chand bali earrings. 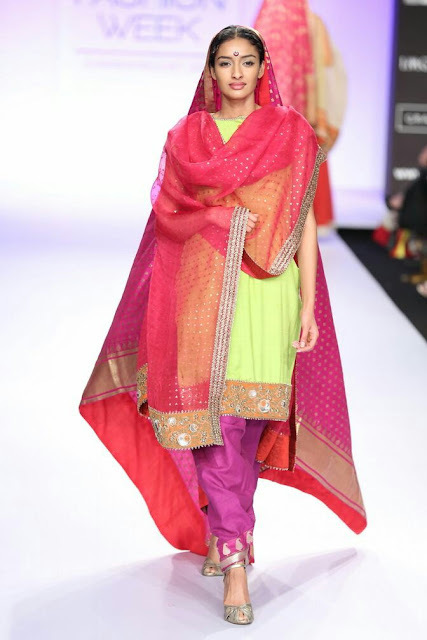 If you dont like bling then play with colours, opt for vibrant or bold coloured outfits. Indian weddings are over the top and nothing is too much. You can actually show up with mang tikka jhoomar necklace , hath phool and still be considered appropriately dressed, so go all out and have fun with your outfit. Footwear is the key, opt for comfort over style and go for flats especially if there will be some dancing involved. Juttis are great options which blend well with almost all Indian wedding guest dresses. Use the right to give your outfit a polished finishing touch. Studded clutches work well with Indian wedding guest dresses but if your outfit is more traditional go for potlis. 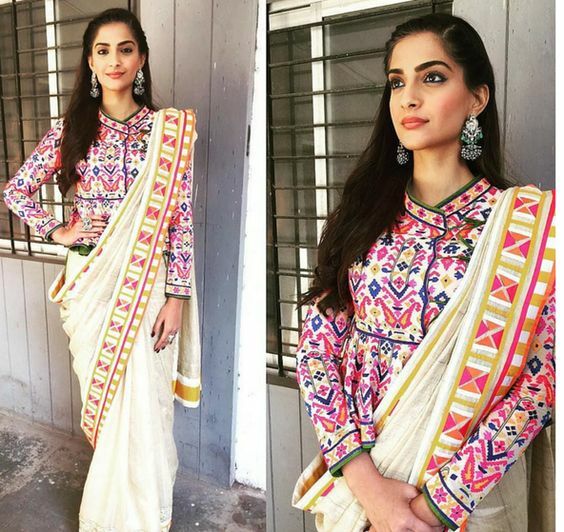 Do you have more Indian wedding guest outfit ideas? 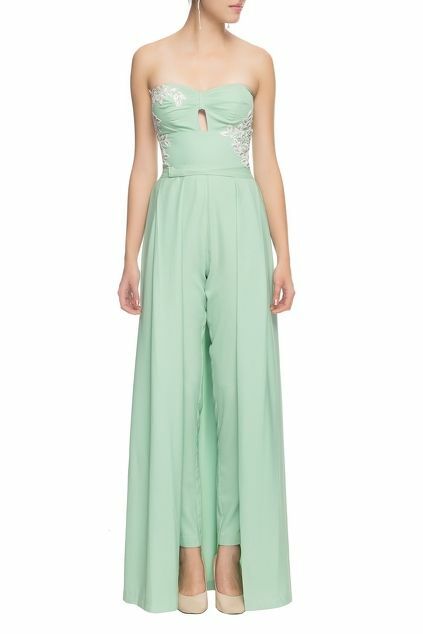 What would you love to wear to the next wedding you will attend? tell us in comments below.